Jayne Sundesth has been appointed Corporate Trainer for Title Alliance. Sundseth joined the Title Alliance family in 2015 as an Escrow Assistant and is looking forward to bringing her wealth of knowledge on the system to our Arizona teams as their footprint continues to grow. 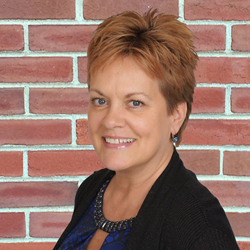 Jayne Sundseth is appointed Corporate Trainer for Title Alliance and its affiliates. Jayne is based in Mesa, Arizona. I can confidently lead our team to new opportunities knowing that Jayne is there on the ground to help our new hires work through the T.A. Way. Title Alliance, Ltd, a RESPA-compliant ESOP leader in joint ventured title insurance agencies, announced today that it has appointed Jayne Sundseth as Corporate Trainer for Title Alliance. Sundseth is based in Mesa, Arizona. This announcement comes weeks after the appointment of Erika O’Brien-Mason as Training Director and emphasizes the importance of training to form the strongest foundation possible for the company's team members. As Corporate Trainer, Sundseth will be responsible for working with the Training Department consisting of the Training Director, all Corporate Trainers and Implementation Specialists, to assure consistent and purposeful training plans are created and implemented for the Arizona Region of Title Alliance. She will be responsible for working to implement the full T.A. Way Training Program, in conjunction with O’Brien-Mason, which was officially rolled out and announced at Title Alliance’s “Amplify 2016” meeting held October 3rd. Sundseth joined the Title Alliance family in 2015 as an Escrow Assistant. Her aptitude for training on systems, policies and procedures was quickly identified. Sundseth’s career in escrow began in 2003. Prior to working within the Title Alliance family, she spent 5 years as an Escrow Funder and 7 years as an Escrow Assistant. Her strengths are in quality control, implementing procedures and assuring systems and methods are understood by all parties.